And be sure to come to downtown Weaverville on Saturday, September 15th for our 12th annual Art in Autumn festival. Marcus will be at his home-town show along with over 100 more talented artists and craftsmen in our high-quality juried art show. 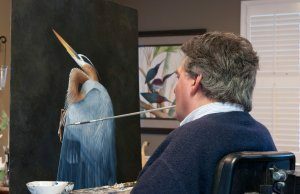 For more on Art in Autumn, click this link: https://www.visitweaverville.com/art-in-autumn/. Hope to see you there! If you can’t make it, Art Accents Frame Shop is proud to carry Marcus’ incredible work at 1 South Main Street all year round!